“What is this doing here?” asked my friend. 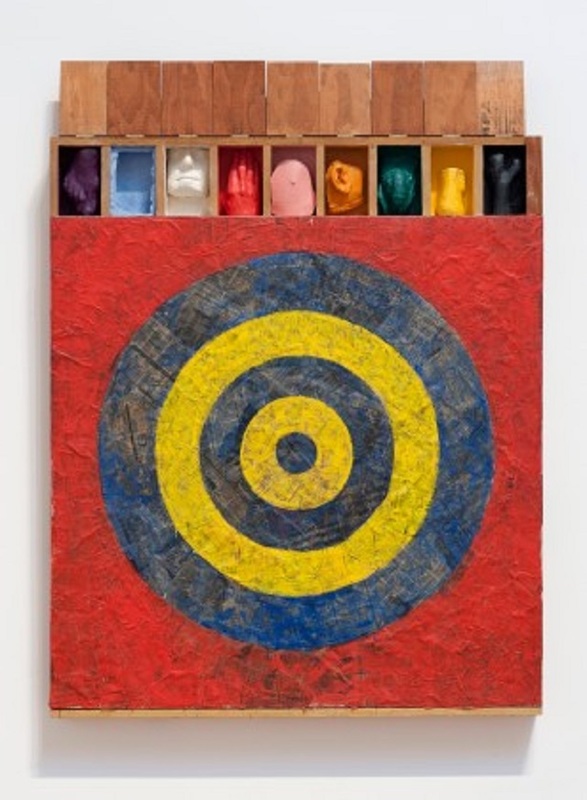 It was Jasper John’s “Target With Plaster Casts” and it was located at the end of a long hallway bordered with Andy Warhol Cow wallpaper. We spent some time admiring it. But something was wrong here. The painting was terribly lit and seemed to be haphazardly thrown into a group show on the first floor at MoMA. Upon examination, the painting’s side and the boxes on top with plaster casts were well constructed. But the painting itself looked in bad condition. The newspaper with wax on it was brittle and flaking off. The yellow was acidic. The surface was patchy. “Hey, wasn't that painter who fakes artist's work supposed to have a show around now?” he asked. That's what you get for wandering into an exhibition without realizing whose it is. In our hurry we ignored the big sign out front. It read, “Elaine Sturtevant: Double Trouble”. But in retrospect, we were lucky we didn’t realize it was her show. That way the magic of her work could cast its spell on us. We were perplexed, we questioned our judgement and more importantly, we were temporarily fooled. Elaine Sturtevant isn’t a forger. She is more of a philosopher obsessed with epistemology and ethics. How can we really know something with our senses only? Is it immoral to copy someone else’s work? I could see Immanuel Kant standing in front of these paintings with his head ready to explode. 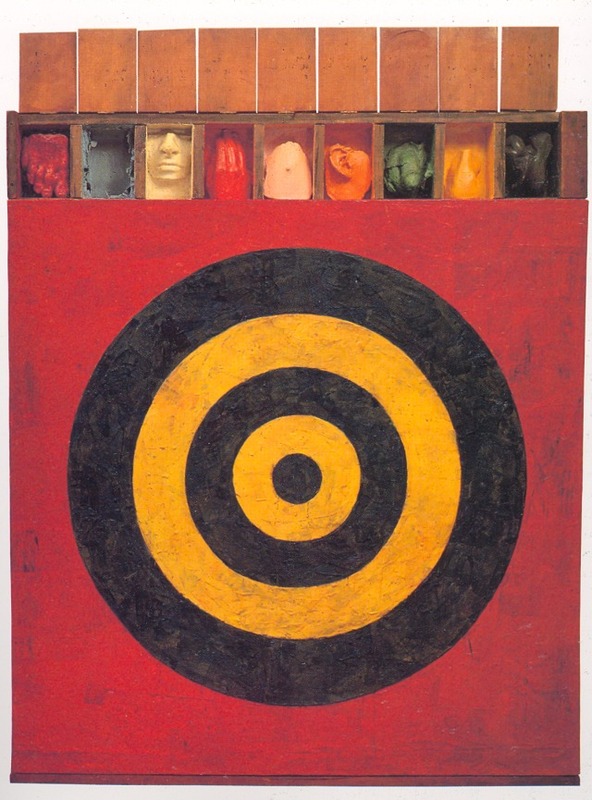 Another sly twist to her work is that it challenges the pretentions of connoisseurship. It reminds me of when Han van Meegeren fooled Hermann Goring. Goring purchased Meegeren's forgery, Christ with the Adulteress, thinking it was an original Vermeer. I could see Hermann fawning over the painting waxing poetic about the Sublime. Sturtevant fooled us too and make us feel a little sheepish. Don't get me wrong, feeling sheepish in this context was a good thing. The show looks down at connoisseurship and mocks the authentic. How embarrassing is that? Older PostWhat's Behind Door Number Two? !